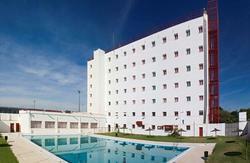 The hostel is distributed in double rooms with en-suite bathroom and air conditioning. To make you feel as comfortable as possible. It is very well located for access to the historical center of Jerez, with a city bus stop very close. If you drive, you can use the parking to the hostel very interesting prices. We put at your disposal a general purpose room very popular with visitors, where you can meet other hostellers, make friends, relax ... Also you have a multipurpose hall and swimming pool. 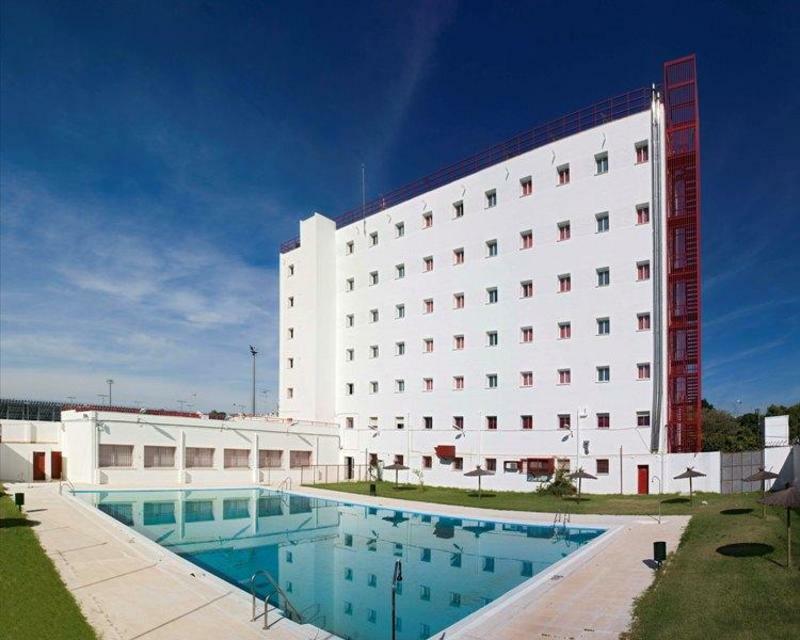 The Hostel Inturjoven Jerez de La Frontera is a seven-storey building, located in the urban area of the city. There are gardens at the entrance and inside, plus a great pool. This very well located for access to the historical center of Jerez, with a city bus stop very close. If you drive, you can use the parking to the hostel very interesting prices. Easy acces To arrive to Jerez De La Frontera where there are trains and buses coming from the main cities in Andalucia.